The Pleasant Grove Intermediate School in Texarkana, Texas ordered a vinyl banner for their school. This is a picture of the banner I purchased from Banners.com for use in our school's campus-wide positive behavior support program. We are encouraging good social skills. 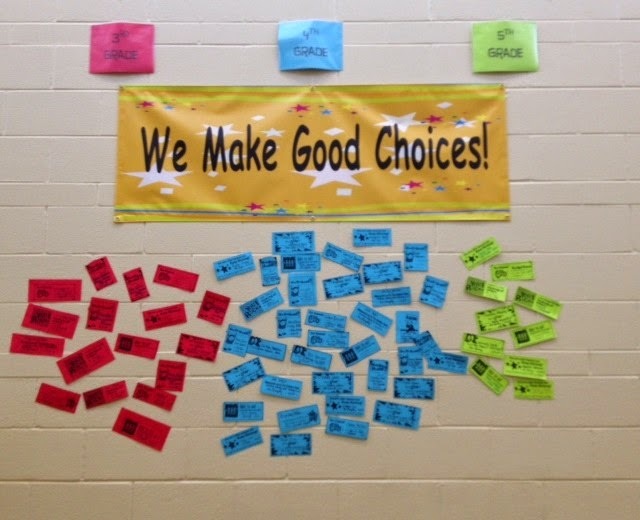 Students earn the reward coupons for various good behaviors. They are color coded by grade level for 3rd, 4th, and 5th grades. We love our banner. Thanks for a qualify job at a reasonable price! Thank you for sending over the picture of the banner! We're happy that we were able to help you with your school's program! If you have a school event that you need signage for, visit our school banners page, or contact one of our customer service representatives.